Home > Questions > Can I have anti-wrinkle or dermal filler treatment when pregnant / breastfeeding? Anti-wrinkle injections are not recommended during pregnancy. Patients often ask if they can continue their anti-wrinkle treatments whilst trying to conceive, or whilst pregnant or breastfeeding. There is very limited research or solid data available that demonstrates that it is safe to have anti-wrinkle treatments during this period of a woman’s life so most good medical practitioners or cosmetic nurses will (or should) advise against or not offer treatment to women in these categories. “Drugs which have been taken by only a limited number of pregnant women and women of childbearing age, without an increase in the frequency of malformation or other direct or indirect harmful effects on the human fetus having been observed”. If you are planning on getting pregnant within the next 3 months we recommended that you do not have anti-wrinkle or dermal filler treatment. We always recommend waiting until you have finished breastfeeding before having anti-wrinkle injections and dermal filler treatment. Which skincare products do I have to avoid when pregnant or breastfeeding? 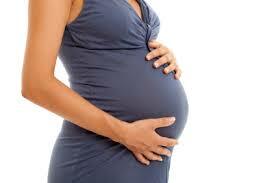 We recommend that you DO NOT use Vitamin A on your skin when pregnant. What are my skincare alternatives during pregnancy? As a general rule, you can continue your regular skincare routine including daily sunscreen to help avoid or reduce any hyper-pigmentation but always check your products with your obstetrician and steer clear of retinoids (Vitamin A) and salicylic acids. 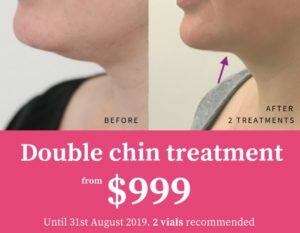 Finally, you may actually find that whilst pregnant that you retain extra fluid and this may assist to some extent in filling out some of those pesky lines or crows feet!